People who are diagnosed with a blood clot will each have a different level of physical ability and fitness during and after their recovery. Some people who experience a blood clot will return quickly to normal mobility and fitness routines – even vigorous exercise – while others may struggle to participate in normal daily activities and to regain their strength. Getting moving again after a blood is hard work and can be overwhelming to think about for some people. For other people, exercising after a blood clot can seem next to impossible. Prior to my DVT and PE in June 2012, I ran half marathons (13.1 miles) and a marathon (26.2 miles) and was in good physical shape. 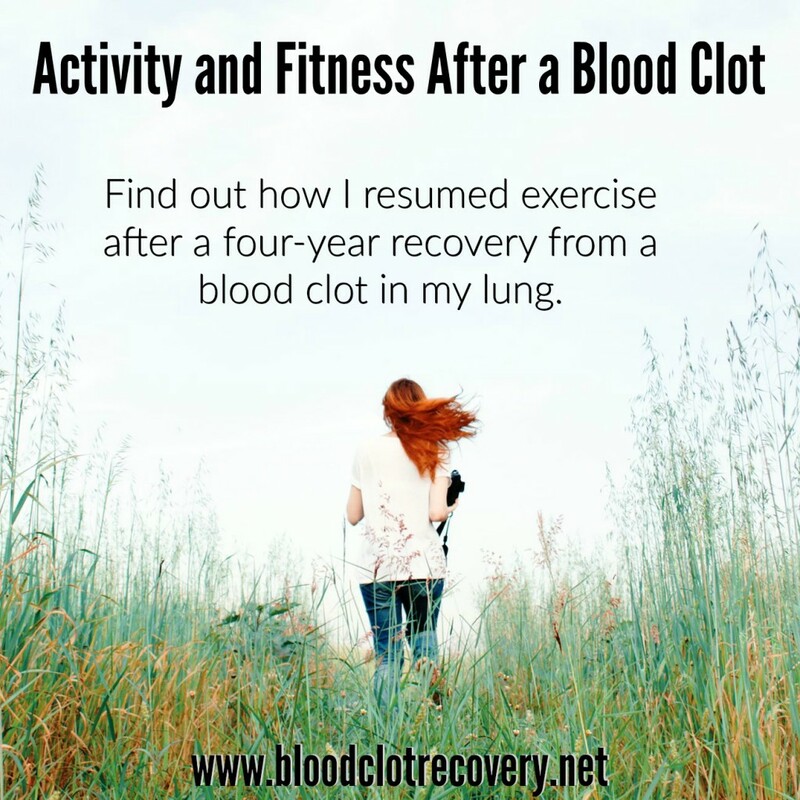 After my blood clots, my physical activity and fitness was non-existent. I could barely do anything without pain, fatigue, trouble breathing or feeling like I set my healing progression back weeks or even months. Every time I tried to run or walk even short distances, I felt worse. My mind was in constant turmoil over the fact that being active would help to prevent future blood clots, but I couldn’t walk to the mailbox without huffing and puffing and aching somewhere on my body. Over the next few years, I gave up on fitness and physical activity. Those days, in my mind, were long gone. I focused on healing my body and my mind in other ways – taking time to rest, relax, laugh, decompress and nurture my spirit. I needed a break, so I took one. At that time, I had no idea how long my break would be or if I would ever return to an active lifestyle. Now, four years later, I am back to a regular physical fitness routine (much to my surprise) and that has helped me even more in my recovery from DVT and PE blood clots (much to my even greater surprise). 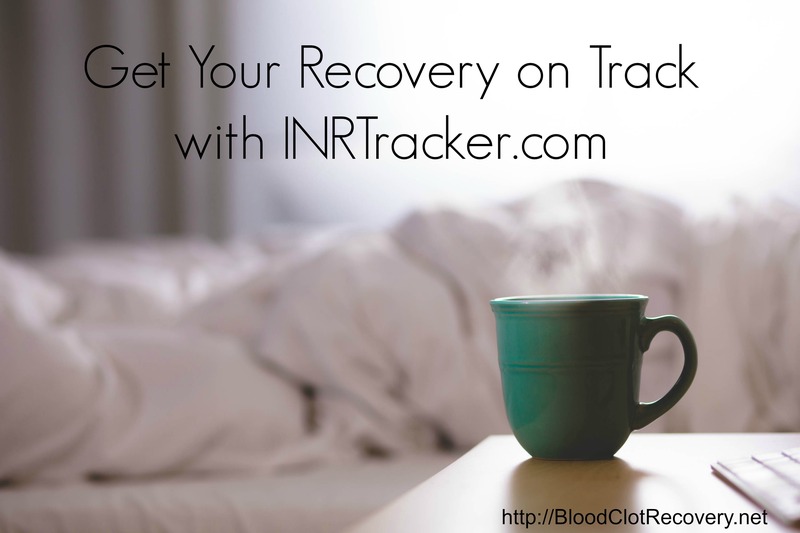 In this post, I am going to share some tips and ideas with you to help you lead an activity, healthy life and get moving again after a blood clot. Find an activity that motivates you. In my opinion, this is by far the most important thing you can do when it comes to engaging in physical activity. You have to find something that you love. I used to love running and was really motivated to train for racing. After my blood clot, I was not motivated to run – at all – yet I kept trying to run. I hated every single step. I had to find something different. What motivates me now is short bursts the of cardio like running, walking, rowing and jumping jacks (not long distances or five hour training sessions) combined with strength training exercises using my body like squats, planks or push-ups or weights like deadlifts or shoulder presses. I usually spend about 25 or 30 minutes at most exercising. I don’t have the attention or the commitment right now to do anything physical for an hour or two. Other things that might motivate you to move more: hiking, walking in the park, riding a bike, swimming, dancing, yoga, the elliptical, just to name a few. Make a plan and set small goals. If I don’t have a plan for my workouts, I won’t do them. At this time in my life, I am committed to five or six days of physical activity either outside or in the gym and I stick to that. I print out my workouts ahead of time and have a plan for the week ready. If you can’t write your own plan – or don’t want to – there are a variety of exercise and fitness programs you can join that will give you a plan. Or, you can search online for a multitude of free resources and plans. I joined the My Peak Challenge Prep Program (a very scaled-down version of Crossfit-like exercises and workouts, focused on outdoor sports, created by Outlander series star Sam Heughan) in February and I am really enjoying the program. If you are looking to join a constructive fitness program, it is my advice that you run it by your physician first and that you pick a program that is scaleable to all fitness levels, has a flexible schedule, has options to work out at home or without gym equipment and has adaptations for participants who are overcoming injury or illness. This is why I have found MPC so rewarding and accessible for myself. I can do it at home, at the gym, for ten minutes or 45 minutes and I can select the activities and exercises that work for me or receive guidance to adapt the ones that won’t. Following a program or plan – whether it is yours or someone else’s – helps you to set small goals, which are more attainable than setting one big goal. Some of my goals have included – working out more days than not in a week, spending more time being active outside, running a mile, and being able to do just one push-up. Your goals may include running a race, a triathlon, lifting soup cans during three of five commercial breaks, signing up for a water aerobics class or taking the stairs at work two days a week. Fitness doesn’t have to be hard or complicated – use the tools right in front of you. Walk up and down your stairs at home a certain number of times a day, walk for ten minutes in your neighborhood or do leg-lifts every night after dinner. The hardest part is starting something new. I have a regular pen and paper notebook that I write something in every day pertaining to my fitness journey. I either record what I have done that day – distance run or walked in a certain amount of time, sets or weights lifted and how I felt. On the days I don’t workout, I write that down too. What I don’t write down is how long it took me to do the entire workout or what went wrong with it. I also write down small goals (the perfect opportunity to record what you hope to do next time) or revelations I have about something not related to fitness. I give my workouts a star rating. One star is not so great and five stars is a great workout. I never give myself zero stars – even on the days I don’t workout because those are the days I have committed to letting my body rest and heal. 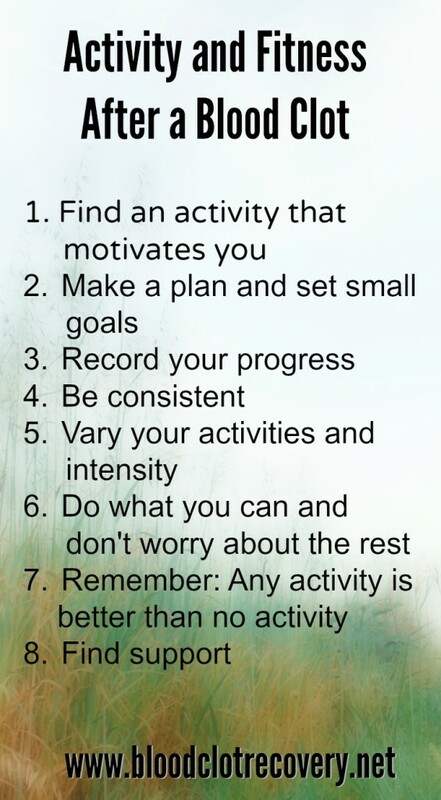 Similar to following a plan, being consistent in your activity is important. I have a pretty consistent schedule I maintain and after just a few months, that schedule has become routine for me. I workout (lifting and cardio) on Mondays, Wednesdays and Fridays. On Tuesdays, Thursdays and Saturdays I do something less strenuous like a slow run, a walk in the park or a walk with my dogs. I do vary my days/exercises if I need to based on what else is going on in my life; but overall, my workouts stay consistent. Your schedule can be what you want it to be. You can take a walk two days a week or go to an exercise class one day a week and do stretching at home one day a week. Vary your activities and intensity. As your activity schedule becomes routine, you will find it is helpful to refresh or revitalize your plans by varying what you are doing. For example, don’t always swim – take a walk outside one day. I don’t always work my legs and my core. I mix it up with my arms and my cardio. When I am just not feeling the treadmill, I do jumping jacks. When I don’t want to stay indoors, I go for a walk outside. When I don’t feel like I can lift, I add in another cardio or rest day. If I need to rest another day or feel worn down, I do. Do what you can – and don’t worry about the rest. It is true that experts suggest after suffering a blood clot, people should resume routine activities slowly and at a pace they are comfortable with. Physical activity is after a blood clot in your leg or lung is safe, but it’s really important to listen to your body and pace yourself accordingly. If you experience pain, swelling or trouble catching your breath as a result of physical activity, take a step back, evaluate your activity level and take some more time to heal. Remember, healing times are different for everyone. I took four years to heal before I could workout again – someone else might take four days, four weeks or four months. There is no schedule that you must stick to that is worth sacrificing your overall health and recovery. And there is no exercise worth harming yourself for. For example, there is one leg exercise that always brings pain to my leg where I had my DVT, but not the other leg. I have eliminated that exercise from my routine all together. Remember: Any activity is better than no activity. Over time, as you regain your strength and mobility, you can benefit from physical activity or exercise that will help you maintain a healthy weight and offset symptoms associated with post-thrombotic syndrome or longterm complications from DVT. Remember, talk to your physician before starting something new – or, better yet – ask your physician what workout plan might be right for you and tackle that task together. I have noticed that being active on a regular basis has greatly improved not only my physical health (a decrease leg pain and swelling and a decrease feeling over-exertion during normal activities like climbing the stairs), but my emotional health as well. I am not as sad as I once as and worry less, most of the time. I feel confident in my activities and workouts and most of all, I feel happy about what I am able to do. I rarely suffer physical symptoms in my leg since I began engaging in regular activity. I use my time at the gym or outside to burn off the stress I accumulate during the day and end each day feeling refreshed and energized instead of defeated and depressed. Just like nutrition, don’t do fitness alone. 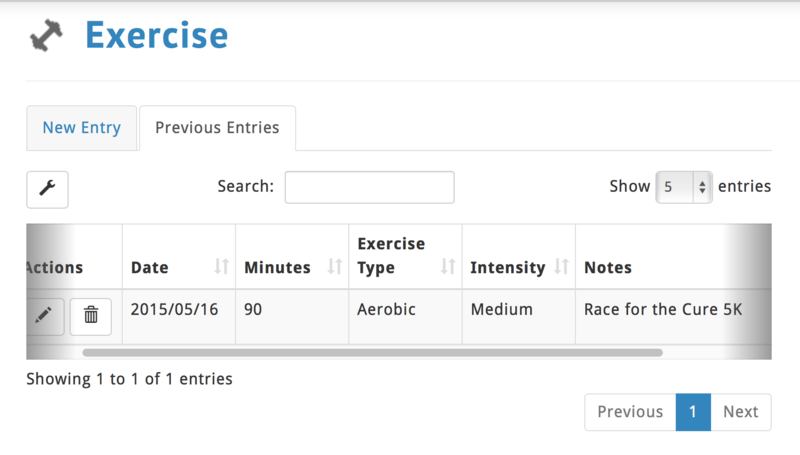 I use My Fitness Pal to keep track of my workouts and I like the community there, which is structured a lot like Facebook. My Fitness Pal allows you to keep track of your progress and share that progress with others. You can also join a multitude of fitness groups on Facebook and online. You can join a gym and meet people in exercise classes or even in the locker room. If you’re not comfortable joining a gym, I encourage you to find a community recreating center, that’s what I did. It’s a lot more welcoming and less intimidating that a traditional gym environment, but still offers the benefits of available equipment, personal instruction, a pool and a variety of classes and programs. You can also meet up with friends to take a walk or hike. Having people to enjoy activities with holds you accountable to your plan as well as your goals and serves as motivation on the days when staying active is hard. Fitness and activity is just as individual as the recovery periods we each go through. Beginning, resuming or maintaining an active lifestyle – be it leg exercises at your desk or swimming laps – can help us lead a healthier, happier lifestyle and helps also to prevent blood clots. Reader Writes In: How has a blood clot impacted your physical fitness? What are you favorite activities or fitness routines? An article published by Harvard Health states, “When it comes to under-the-radar health conditions, deep-vein thrombosis is at the top of the list. Most [of my] patients have never heard of this common problem. Yet deep-vein thrombosis puts more than one-quarter million Americans in the hospital each year, and complications from it are responsible for upwards of 100,000 deaths.” Deep Vein Thrombosis or DVT is a term for a blood clot that forms deep within the leg veins, but one can also form in the pelvis, arm or other areas. Some DVT’s cause pain, swelling and redness; yet others cause no symptoms at all, which can make prevention all too difficult. I had no idea what a DVT was until I was diagnosed with one in June of 2012 after a piece of the clot broke free from behind my knee and lodged in my left lung, causing a pulmonary embolism or PE. A PE, or blood clot that lodges in the lung, is particularly dangerous because it can be fatal and in fact, almost all DVT-related deaths are a result of PE. While I had no symptoms of a DVT except pain, which I attributed to a running injury, if I had been aware of this injury and its consequences, I may have been able to prevent the PE, which was indeed life threatening. DVT can cause life-altering and lifelong consequences including lifelong treatment medications such as blood thinners and over 40 percent of those diagnosed with DVT, suffer from post-phlebitis syndrome (PTS) as a result of permanent damage to the vein, which causes persistent leg pain, swelling, darkened skin, and sometimes hard-to-heal skin ulcers. 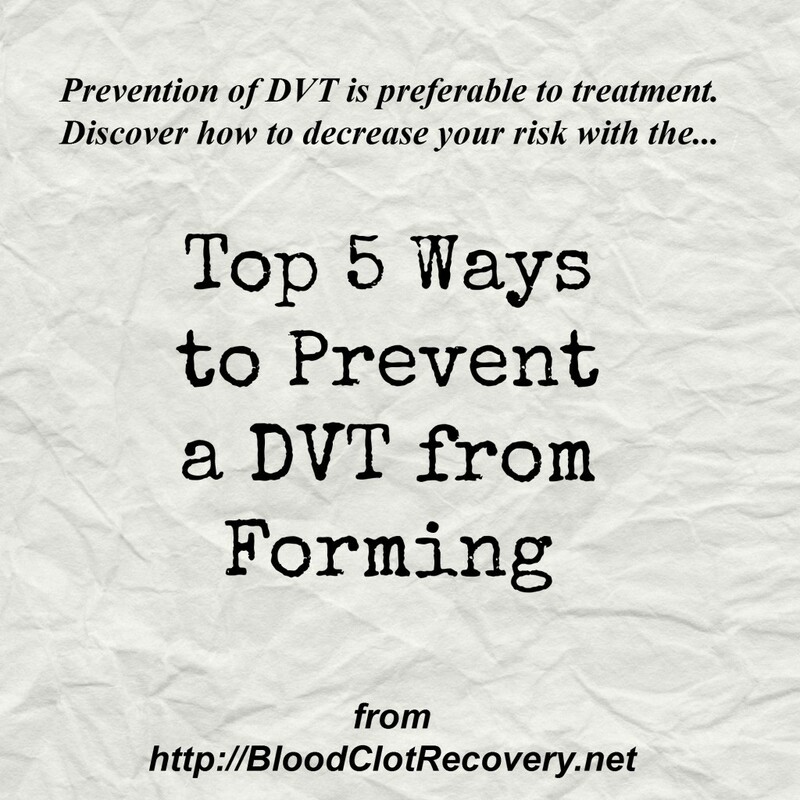 Prevention of DVT is preferable to treatment, read on to learn the top 5 ways to prevent a DVT from forming. In a nutshell, you are at increased risk if you or a close family member have had a blood clot before; you have had recent major surgery; you have an inherited clotting condition; have cancer; are immobile for a long time (confined to bed, long-duration plane or car trip, etc. ), or use birth control pills. It’s important to understand your own personal risk and also that anyone can develop a DVT at any time. There are some definite ways we can all work to prevent DVTs before they become something that needs treated. Get or stay physically active. Whether you are at work or at home, get up from your chair frequently and move around. Short walks contract the muscles in your legs that help pump blood back toward your heart. If you’re at work, walk to the restroom farther away from your desk, take the stairs after lunch or offer to hand deliver a memo instead of dropping in in a mailbox. If you’re relaxing at home watching TV at night, get up from time to time and walk to the kitchen and back, even if you don’t necessarily need something. If you are traveling by plane, get up frequently and walk around as best you can. If you are driving long distances, stop every couple of hours to walk around whether it be at a rest stop or restaurant. Park a little farther out from your stops and walk in when you do. If you’re ordering fast food on a road trip, skip the drive through and walk inside for a meal. While exercise in the initial stages of recovery from a DVT is difficulty and often disheartening to attempt, incorporate a walk into your day as best you can, if only for five or ten minutes to start; then work up to 30 minutes a day. Stay hydrated. Water is your body’s principal chemical component and makes up about 60 percent of your body weight. Every system in your body depends on water. For example, water flushes toxins out of vital organs, carries nutrients to your cells and provides a moist environment for ear, nose and throat tissues. This is especially important if you are going to be sitting or traveling for long periods of time. If you’re at work, sip water between phone calls, walk to the drinking fountain or break room every hour to refill your glass or make a goal of how many water bottles you would like to consume in a given day. Generally you should be drinking enough water to not feel thirsty and produce light colored urine throughout the day and the exact amount of water needing consumed can vary from one individual to the next. The Institute of Medicine determined that an adequate intake for men is roughly 3 liters (about 13 cups) of total beverages a day. The adequate intake for women is 2.2 liters (about 9 cups) of total beverages a day. If you’re concerned about your fluid intake or have health issues, check with your doctor or a registered dietitian. He or she can help you determine the amount of water that’s right for you. Move your legs. If you are bedridden and can’t take frequent walks (such as during a hospital stay or during the early stages of recovery), contracting your leg muscles will help prevent blood from pooling and clotting, which is important. Even small movements can make a huge difference. If you are in the hospital, make sure the nursing staff regularly helps you move your legs to help prevent blood clotting. If possible, bend then back and forth, lift them up an down and rotate your ankles. Any movement in the lower extremities when bedridden or immobile is helpful. Maintain a healthy body weight. Remember, obesity increases the risk of DVT. It is important to exercise, hydrate and eat whole, clean foods that are non-processed and low in sugar. If you need help losing or maintaining a healthy weight, there are countless programs, plans and support systems available to you. Be sure to discuss your weight-loss options and what is the best course of action for you with your doctor. Be proactive if you are hospitalized. If you are hospitalized for some reason, ask your doctors and nurses to make sure you are receiving measures—such as wearing special stockings, getting low-dose heparin or getting leg exercise—to prevent blood clots. 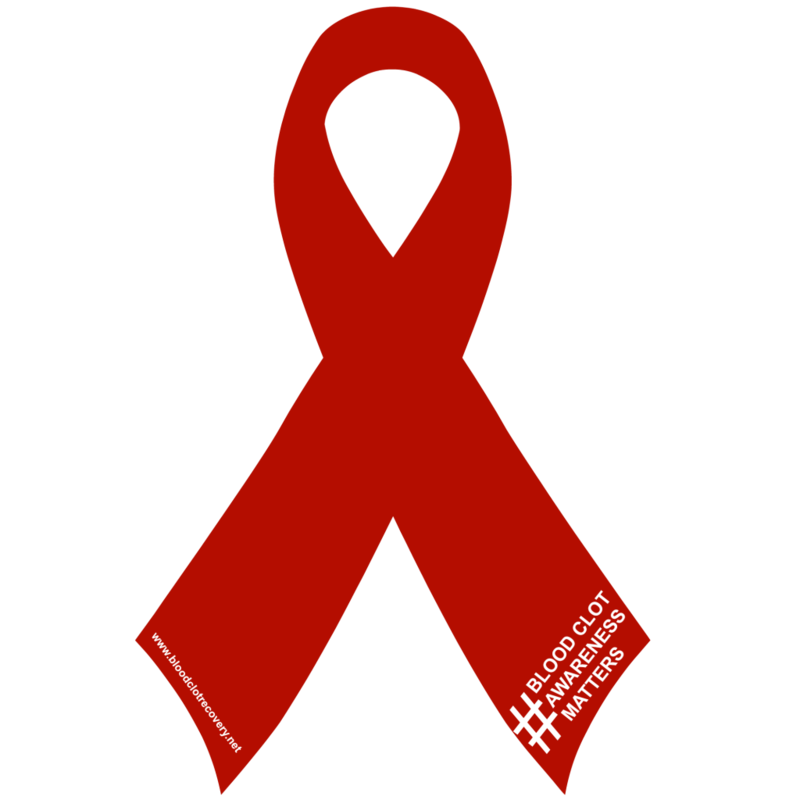 Make sure your family members or caregivers are aware of the possibility of blood clots so they can ask for this care in the event you are unable to or forget. Share your story. 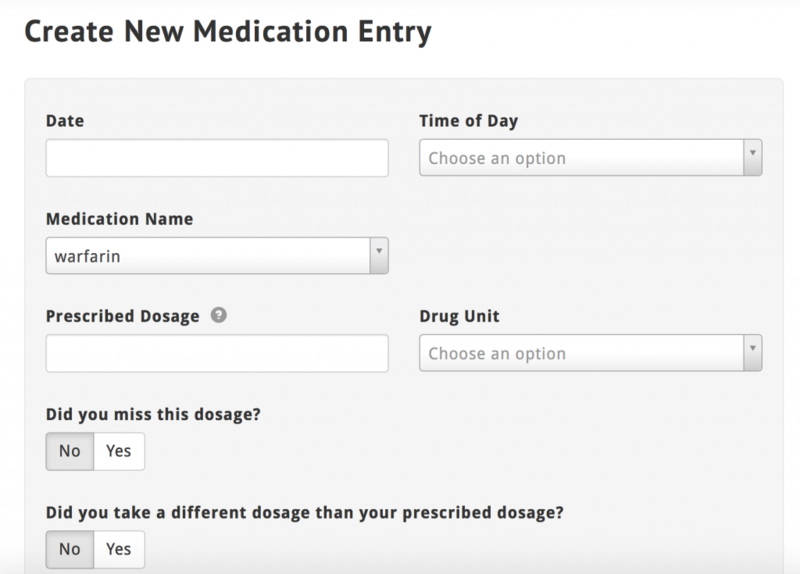 What steps do you take to prevent a DVT from forming? Do any of the risk factors listed above apply to you that you may not have known about previously? Were you aware of the risks for DVT?